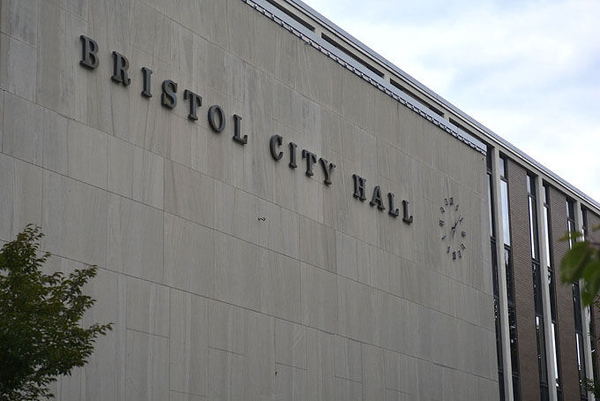 BRISTOL - With state funding being pulled back from the Enterprise Zone program, Bristol leaders plan to continue offering abatements even if the city isn’t reimbursed - citing it as “another tool in the toolbox” for attracting businesses and long-term growth. Bristol has had an Enterprise Zone downtown for more than 20 years according to Mayor Ellen Zoppo-Sassu. The designation had historically allowed communities to offer a tax abatement to attract new and expanding businesses. Over the course of a five to seven year abatement period, the abatement percentage would gradually decrease annually until the property owned by the business was fully back on the tax rolls. The state would then compensate the town for the money lost on the abatement. State Sen. Henri Martin recently proposed a bill to establish an Enterprise Zone in Plymouth. He did so after Plymouth Economic Development Director Vance Taylor contacted him asking to see if Martin could get the town the classification. However, when putting the bill together, Martin learned that the program’s future was uncertain. Taylor said that he was surprised to learn that funding had been cut. “At a time when the state economy isn’t on the most even footing, it seems unusual that they’d put such a successful program on the chopping block,” said Taylor. Zoppo-Sassu said that Bristol, meanwhile, has decided to continue to “absorb the hit” from the lack of state funding while continuing to offer the Enterprise Zone abatement incentives. Justin Malley, director of Bristol’s Development Authority, said that the Enterprise Zone also allowed Bristol to offer the Urban Jobs Program for Manufacturers and Bioscience Zone tax abatement programs as partner programs. Zoppo-Sassu said that the abatement gives companies a “jump start,” which encourages them to make investments with some of the additional money they have available. Zoppo-Sassu noted that the Bristol Hospital Medical Office Building, while falling within the boundaries of the Enterprise Zone, is on a different, 10-year, tax abatement schedule that the city negotiated and isn’t tied to the state program. That abatement will take effect when the building is complete and opens. Posted in The Bristol Press, Bristol on Friday, 8 February 2019 19:05. Updated: Friday, 8 February 2019 19:07.